I’m a reader, sure. Romances, dystopians, cozies, historicals—if it’s got a good plot, I’m your reader. But writer? Nope. Didn’t cross my mind. All that changed a few years ago. I had the year from hell. My dad died, my father-in-law died, and both my mom and husband developed serious medical problems. I was a hospital regular that year. Hiking was my stress relief, and apparently I was stressed. I hiked so much I completely blew out the arch of my foot. The pain was so bad I could hardly stand. My doctor told me no hiking for a while. Maybe a long while. It was the last straw; I got depressed. I used to walk six or seven miles, no problem, and suddenly I couldn’t even hobble to my kitchen. For the next few weeks, I rolled around the house in a desk chair, listened to mopey alternative music and felt sorry for myself. One night, I had one of those wild, vivid dreams—you know, the kind you wake up from and go, ‘Hmmm, I ought to write that down.’ If it’d been a Monday morning and I’d needed to get to work, the whole writing gig might’ve never happened. But it was Saturday, and I was facing a long, dull day. So I turned off the mopey music and rolled myself up to the ancient PC I’d just inherited from my dad. I don’t remember staring at a blank Word doc or anything dramatic like that. I just started typing. The story shaped itself as I wrote: a slightly grumpy, dispirited girl stuck on a cruise ship fighting zombies. She’d been separated from her dad (nothing symbolic there at all, right?). Funny things happened to this girl—probably because I needed a little humor right about then—and when I looked up from the screen, the morning had passed. I was in a better mood and I’d banged out an entire chapter. He didn’t say much, but he knows me pretty well. He probably figured he was in for an interesting couple of years. (And he was right.) At the time, I’d never guessed it, but I’d just written the first chapter of Donna of the Dead—a YA novel that would land me an agent and a three-book deal with Entangled Publishing. I came to the dream of being a writer later than most, but I’m grateful that I came to it all. That morning, I really did become a writer. 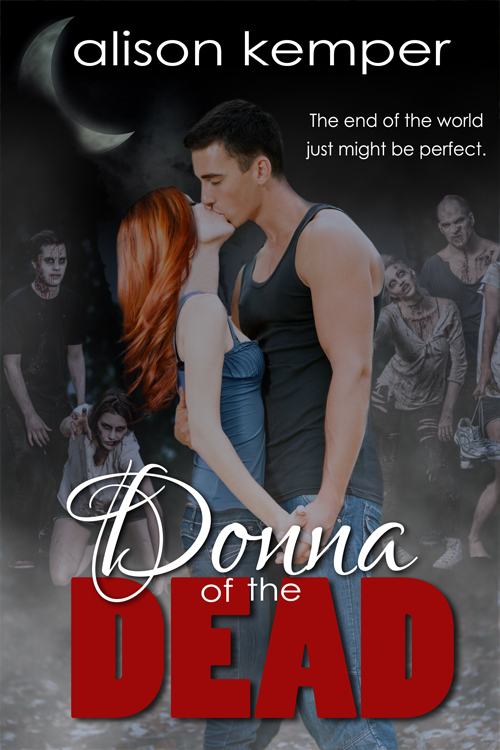 Learn more about Donna of the Dead!